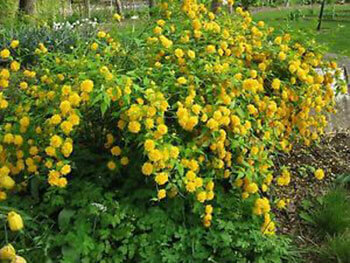 A gracious decidious shrub with arching branches covered in rich yellow double pom-pom shaped flowers about 2cm in diameter. Flowers late spring to early summer. A beautiful addition to your garden.